The Varsity 4x400 "A" runs a HUGE seasonal best and smashes the school record by 5+ seconds. 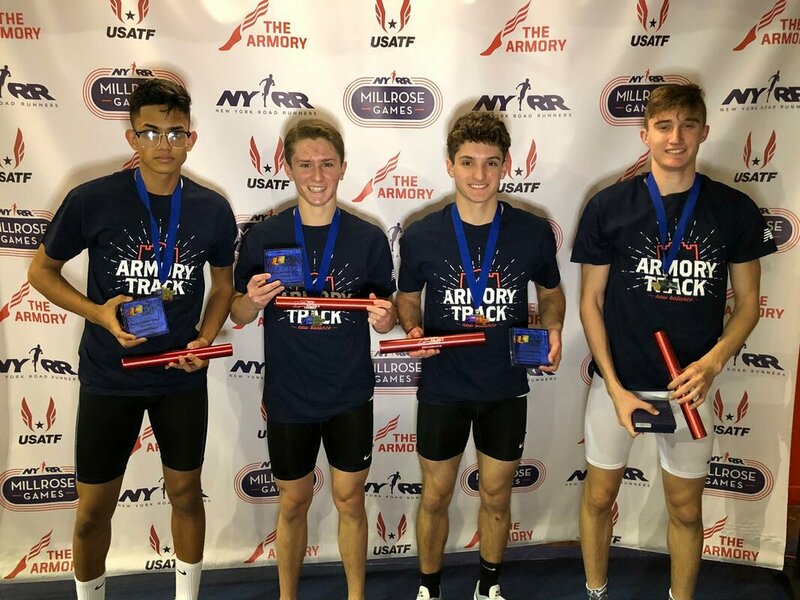 Ken Dias (51.0), Hudson Scanni (51.2), Steven Anzalone (50.2), Jason Marchese (51.4) run 3:24.06 FAT en route to a 1st place finish at the New Balance Invitational. 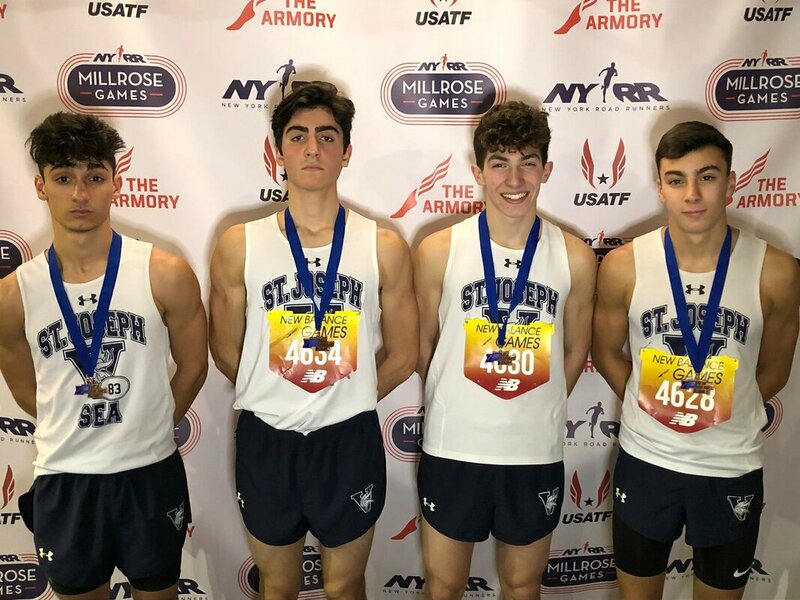 Their time is the THIRD FASTEST IN STATEN ISLAND HISTORY! It also qualifies for the Championship Section of the New Balance Nationals! They are currently ranked #6 NY State and #13 USA. In what is fast becoming an historic year for the Vikings; this is the 4th school record that has been broken so far: Varsity 300 (Dias - 36.07); Varsity 600 (Masters - 1:22.28); Varsity 4x200 (1:32.50) and Varsity 4x400 (3:24.06). Not to be outdone, the "B" team takes 5th place medals en route to a 3:32.84 FAT.